Contributions needed please - deadline end of April. All contributions welcome, any length - here's some ideas: Favourite Races, club champs races, KWL experiences, My First Fell Race kind of things or just what you love about fellrunning. Checkout the old newsletters for ideas. Please let me know if you plan to send something. Send to the newsletter address at the bottom.Thanks, Rick. The big day finally arrived, not only was this the 2nd round of the English championship but it was the first time we had hosted a championship race. First mention must go to Adam Perry for the 'vision' of the route and then to all the Helm marshals and helpers who made it happen. Despite all the recceing in cold misty conditions the Howgills surprised us with what felt like the warmest (and longest) day of the year with spectacular sunshine. Rob Jebb had a super run in the conditions to come in second, narrowly pipped at the last by Keswick's Carl Bell. Also counting for the Helm team were Mike A, Adam, Keiran and Paul A. Sharon Taylor had a fine run to finish 3rd helping the ladies to first team with Kelli (4th) and Hannah (13th). Final mention to Katie Mackay (34th) and Joel Jameson (50th) who both had great runs in their first outings in the Helm vest. Howgill Fell Race results. Well done to the select Helm contingent who ventured north to this classic horseshoe race, Matthew Clark was first back for Helm and Sarah Gerrish was first back for the ladies. Results. Also well done to Mhairi Helm, 3rd lady at the Dungeon Ghyll race. The past couple of weekends have seen a number of races taking place, with a few runners taking on a double header. The Up and Down of Causey Pike attracted a good turnout from Helm with Josh Jardine 4th overall and 1st u23, and Tim Cowin 2nd v40. Georgia Stevens was 1st FU23 and 4th overall. Results. Next up was Carrock Fell, a club championship race that saw Rob Jebb pipped into 2nd and Josh Jardine 3rd. Well done to Sharon Taylor who was 1st back. Results. The penultimate counter in the KWL was on the Helm with Robert Askew having a fine run for 3rd and Bianca Dyer and Emma Johnston making a 1,2. 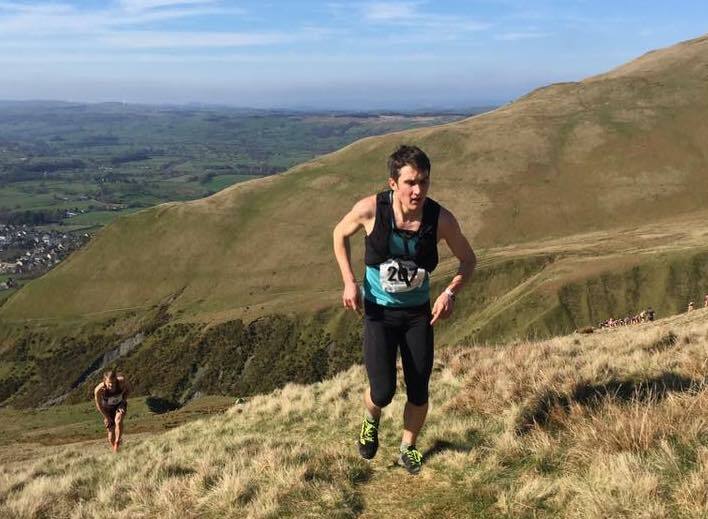 Putting in the miles on the black stuff well done to Cat Slater coming in 9th at the Coniston 14, results, and a good run from Ali Richards both at Coniston and the previous weekend on the Edale Skyline. The season of 2019 is now officially underway as a large Helm team ventured to darkest Shropshire for this 5.9 mile race. The course consisted of 2 short sharp climbs followed by some fast flat running and a sting in the tail. There was plenty of route choice, which was much discussed before and after the event. Rob was first back for Helm in 16th, 3rd v40 and Hannah was first u23 and Billy 1st v60. The men's team packed well after Rob with Mark, Josh, Mike and Adam making the counters. The ladies also made a good start to defending their title, Sharon was first back in 5th, followed by Kelli and Hannah in 6th and 8th. Results here and team standings to follow. Well done to Rob Jebb and Sharon Taylor who were both 1st in this 8 mile testing fell race which for once wasn't 100% shrouded in mist. 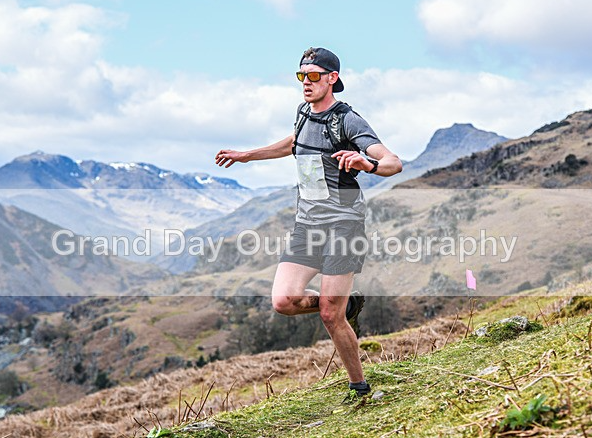 Helm also saw good runs from Ben Procter, Jack Simpson and Rick Stuart (2nd v50), and Catherine Niblock and Ali Richards for the ladies. Full results. 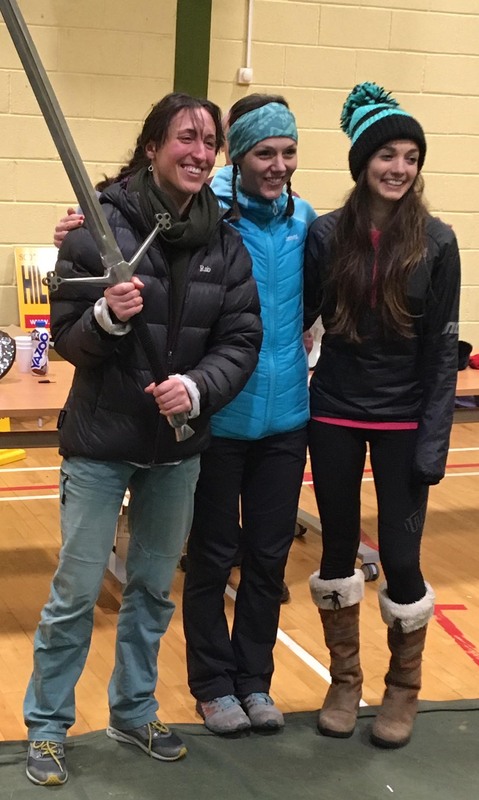 Those new to the club may not fully appreciate what has become a bit of a tradition of making the long drive north for a 5 mile, 5 summit race just outside Edinburgh, but to cut a long story short, club president Billy had always converted the prize of a claymore awarded to the winning team, and after many years of trying we first won it in 2015 and then again 2017. Last year Carnethy made another, bigger shiny version to awarded to the winners of the ladies team, but that year the prize alluded us. Such is the strength in depth of the club this year we had high hopes, and sure enough with Sharon 2nd (by 1 sec) Hannah 3rd and Kelli 5th, and also the rapidly improving Jo Rycroft in the top 10 there was little room left for other clubs. The men ran well with Rob Jebb 1st back for Helm in 7th and Mike Ainsworth, Ben Procter and Pete Rigby making up the men's team. Rob was 1st v40. Billy 1st v60 and Bianca Dyer 2nd v40. It was a great day out. A few of the Carnethy warriors also made their way to a sunny Barbondale to stretch their legs and the KWL race was won by Rob Jebb, with Josh Jardine in 2nd. Jo Rycoft and Catherine Niblock also made it a Helm 1,2 in the ladies. Yarlside downhill, Easter Sunday - great to have older juniors/young seniors taking part with the adults; challenging the race record, the strava segment record and their Parents in the same race. More photos in the gallery. Sat 13 Apr - several Helm Hill juniors made it to Kettlewell for the second FRA 2019 Junior championship race, and many followed that with attending the Kendal Winter League 2019 finale on Sun 14 Apr; runs on Arant Haw and presentations of the prizes. 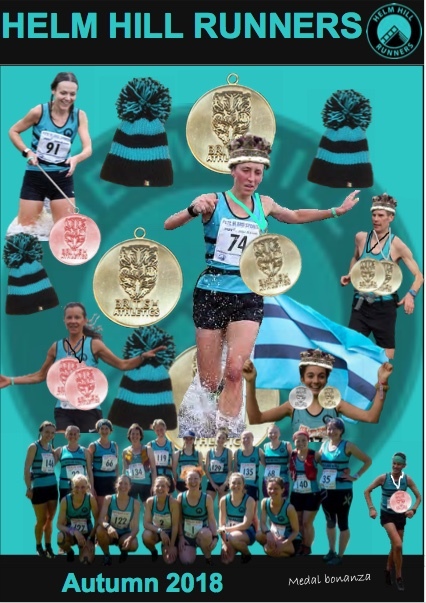 Great pie T-shirts for all those who completed the requisite number of races, the U21 ladies trophy for Maia Doherty and the Ken Shuttleworth Winter League Endeavour trophy for Megan Harris - one of the most significant trophies of the league. Spring Newsletter: contributions needed please for the next newsletter - deadline end of April. All contributions welcome especially from juniors, any length - here's some ideas: Favourite Races, club champs races, KWL experiences, My First Fell Race kind of things or just what you love about charging downhill in the rain! Please let Lorna know if you plan to send something. Thanks, Rick. Todd Cragg and Loughrigg, 10 April - Helm Juniors were truly out in force, and it was really great to see so many of them of all ages competing in the youngest age category right through to the U18s as part of the Senior race. 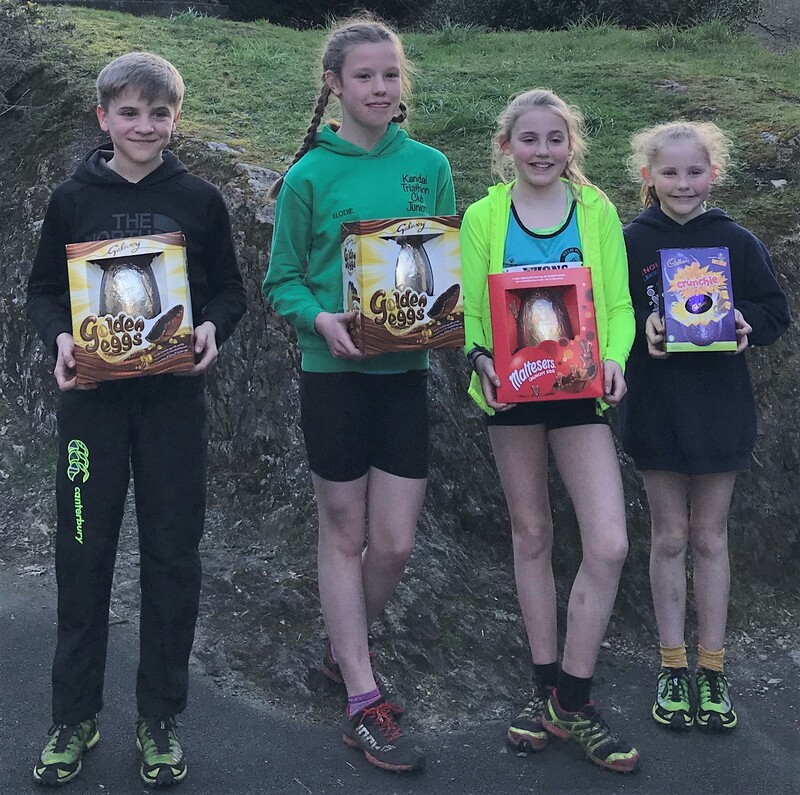 There were wins in the Todd Cragg races (Easter eggs galore) and more Easter eggs awarded for fantastic achievements in the Loughrigg race; Alex Tallon (seen racing in here to the finish with one of Helm's Club Captains) 2nd male U18, Lewis Bowness 3rd male U18, Amy Slattery 1st female U18, Ella Beardwood 3rd female U18. Todd Cragg results are HERE. 30/31 March; clocks went forward, Mothers Day, fell racing continued regardless. 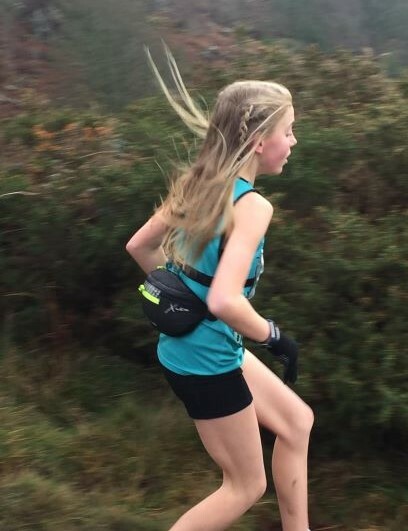 Juniors started their FRA 2019 Junior Championship journey at Clough Head RESULTS HERE, and the next day finished the Kendal Winter League 2019 series at Elterwater RESULTS HERE with some tremendous running and exciting finishes (U17 Helm boys especially!). A run on Winder and the presentation on 14 April will round off the KWL series. Helm Hill Sun 24 March was the penultimate race of the Kendal Winter League 2019 series. Yet another good turn out for Helm Juniors on their home territory, racing for points - as seen in this picture of the U13s/U11s race. The final battles will take place at Elterwater on 31 March! In the meantime, check out the current standings on the "Races" tab of this website - see "Kendal Winter League 2019" file on the left-hand side. 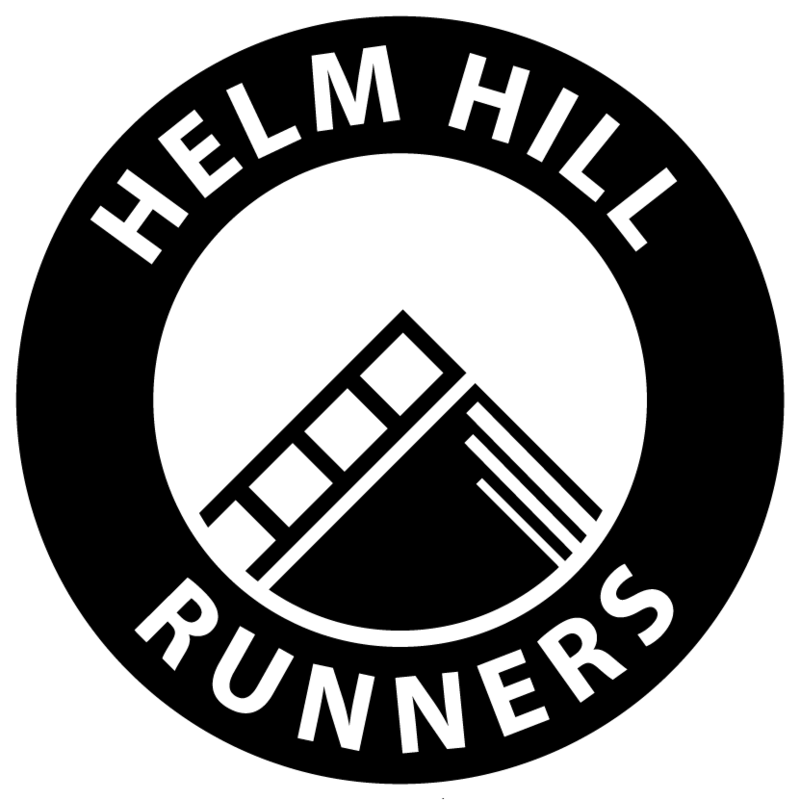 Mid-Lancs xc and KWL - as well as racing in the Kendal Winter League on Sundays, a lot of Helm Hill Juniors have been part of the Kendal-Helm composite team in the Mid-Lancs cross country league this winter. 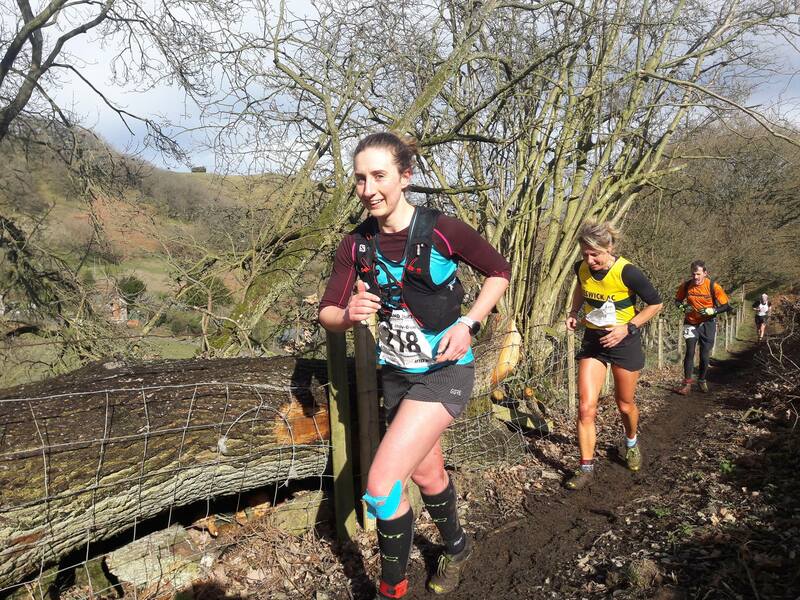 The last of the Mid-Lancs races (Cuerden Valley) was held Sat 2 Mar, with some fine individual results as well as various category team results; take a look HERE. We now await the overall league results! 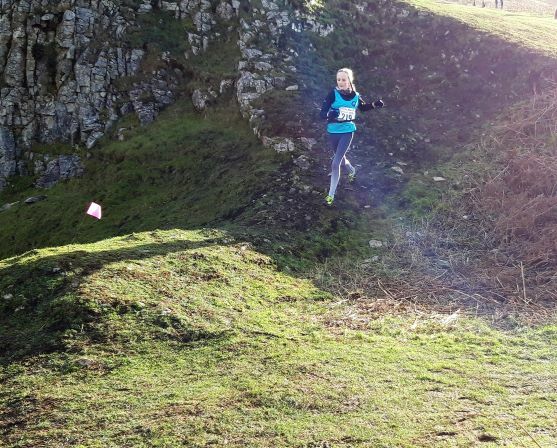 After Cuerden Park, the KWL continued with great Junior races on Cunswick Scar on Sun 3 Mar (Results HERE). Beautiful sunshine greeted runners at Sedbergh Kendal Winter League Sun 24 Feb, on the very scenic and challenging school cross-country course, overlooked by the magnificent Howgills. Once again, high placings in many categories for Helm Hill Juniors, and many valiant runs from the youngest U11s through to the U21s. Slippery conditions at Longsleddale KWL Sun 17 Feb but a turn out of 29 Helm runners in the Junior races nevertheless. Results are HERE. Barbon KWL Sunday 9 Feb - valiant battles fought as Juniors charged uphill and downhill in a contest not only for Kendal Winter League points but also Club Junior Championship points. This was the second race in the Junior Championship this year (KWL Cautley in March is the next one). Birkrigg KWL Sunday 27 Jan - surprisingly high winds gave support for the uphill but made running downhill difficult! Nevertheless, there were many gallant runs in all age categories. Well done Helm Juniors! So, the Kendal Winter League continues, with approx. 40 Helm Hill Juniors competing at Giggleswick and then Whitestones, showing their mettle in the U21s (run at the same time as Seniors) right through the age categories to the U11s. RESULTS are on the Races page of this website (scroll down the left-hand side of the page). Scout Scar 2019 - first race of the Winter League series - saw a great turn out of Juniors; 16 U-17 Juniors, 36 U-15 Juniors and 95 in the U-13s race (which contains an U-11 category). Helm Juniors were there in force.